Are you considering Gold and Silver MLM opportunities? If YOU are considering or already building with a Gold and Silver MLM business today, read every word I’m sharing in this post and watch the video before you close up your web browser. 1) I currently have a fast growing team in a health and wellness MLM opportunity (I’m not writing this to persuade you to join my business instead of the Gold & Silver MLM you’re considering). 2) During the search for the best and hopefully the last opportunity (took us 8 months and almost 25 companies) for myself and my business partners, we did consider one Gold & Silver business opportunity. So why did we end up skipping the Gold and Silver MLM program we looked into? There were really just a few reasons that caused us to skip that particular business, or that specific niche entirely. Since this is an extremely serious matter for you and your family, I encourage you to read this entire post and take a few minutes to watch the following video by fellow network marketing leader, Lou Abbott (note: we’re not connected financially in any business, nor are we building the same business opportunity that we’re aware of). Why Gold and Silver MLM programs never lasted and probably never will? Let me explain… or better yet, watch the video above by Lou to you get a audio/visual presentation of this exact point. Gold and Silver are commodities that are trade in the market place at a “spot price,” a number that everyone in the WORLD know is the going rate for these precious metals. The lack of a good profit margin causes Gold & Silver MLM opportunities to be unable to provide long-term residual income, the cornerstone of the network marketing / MLM industry. Successful companies that market health and wealthness products, skin care and cosmetics products or other physical tangible products usually have much higher profit margins especially when they apply patented formulas or technologies to their products. “Spot price” is public, but “patented formulas” are private information that can cause buyers to fork over that premium to get the advertised results… especially when the patented formulas actually work! So what do you do if you’re already in a reputable Gold and Silver MLM company? Look, in this crazily profitable and fun industry of network marketing relationship is everything. If you joined a Gold and Silver MLM company because a leader (or leaders) you respect signed up with the company, respect them for what they’ve done to earn your respect… but read this post and watch Lou’s video to know why Gold & Silver MLMs are probably not the answer. Yes, they may be “hot” at the moment, but remember that relationship and credibility are the two most important factors that cause people to join or leave a specific company. And in some cases, that credibility is completely destroyed when we decide to make a move to another company. I personally know some leaders did that OVERNIGHT and completely shattered their credibility that took them years to establish. Feel free to share this post with your team and leader(s) if you’re in a Gold and Silver MLM and post your comments below. No flaming emails or comments please if you disagree with my point of view here. Be reasonable and share your perspectives. I look forward to reading your comments and a good discussion on this topic of why a Gold and Silver MLM opportunity may or may not be a long-term opportunity after all. P.S. Regardless what primary MLM opportunity you are building, understand that there are two major ingredients that make up the recipe to take you to the top: LEADERSHIP and MARKETING. It is crucial that you get the right training and learn exactly what to do to have a steady, if not unlimited supply of prospects to come to you. Find out how to Create More Cashflow and Sponsor More Reps In YOUR MLM, Gold and Silver MLM or not! i agree with this, because I mwas into this stuff some years ago and IT did bring non-return really ! Hope I can help many as possible ! If you do your research there has only been one numismatic company ever, the rest were all bullion. No, bullion has never worked and probably won’t. But the only numismatic company ever is doing really good and isn’t going anywhere. 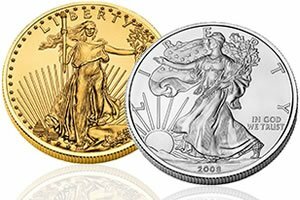 To understand the gold and silver industry you have to know the difference between numismatic coins and bullion. “Can you sell lots of the companies product to both reps and customers?” — I agree that this is the most important question we should ask when we join an MLM company. It sure is easier to sell lotions than gold or silver. Thanks fro sharing the video. Very, very helpful. Jerry, great information, most of us know that there is a ‘popular’ company going around the internet right now. I recently put together a post on choosing the right network marketing company and made sure to add in a part to address the precious metals space. Profit margin is hugely misunderstood in network marketing. If you were to build any other legitimate company you could easily double or triple your income from the same organization. Also, many masses tend to believe that their current situation is going to last forever. The truth is there are seasons to understand in business, cycle of capitalism and history of currency specifically as it applies to this topic. If you are in it for some quick money and plan on building another network marketing business after the cycle bottoms out, then a gold and silver mlm may be for you. Something Jerry Campisi always told me, out of 14 companies to make it to a billion dollars, all 12 that are still open today are health and wellness, technology companies are fads, and precious metals demand cycles never last long. The ideal company is a health and wellness company because it really is essential and necessary for life. The recent growing awareness and demand for proper nutrition is making it easy for these companies to grow and fit the demand. A agree about bullion companies. None of them have worked. However, I’ve joined several MLM’s over the years and my favorite to date is a company that promotes numismatic gold and silver coins. The value of gold and silver does fluctuate, but ultimately they all still have value, especially if they are numismatic coins. I’ve thrown away boxes and boxes of overpriced and outdated pills, powders and lotions and was left with nothing to show for all of that effort. When you’re sick of paying $70 for a $20 canister of protein that you don’t even like, just because of the “opportunity” then you quickly come to appreciate a system and opportunity based on numismatic coins. Yes, health and wellness products often have their own unique formula. However, the vast majority of them are just like commodities simply because they are not any better than the pills, lotions, candles, postcards and powders that you can pick up as needed at your local walmart. I know that a lot of people say that they have the best formula that blah blah blah… etc. However, to me it’s just yet another pill or potion. I’d much rather build up a business while having fun collecting real silver and gold numismatic coins. And the best part is that my coins will never go rotten and they’ll never be worthless. Great post, Jerry! I’ve been pitched by several people about gold and silver network marketing companies, but I knew to run away from this company in question when I talked to my brother (who collects coins) and I told him how much this company wants for its signature coin. My brother told me that it was nearly an 80% markup ($70 to $125), and that’s when I knew that it wouldn’t be for me. 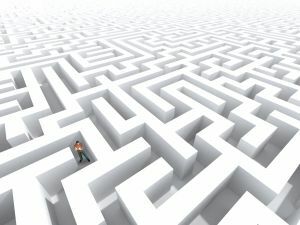 Then, last month or month before last, my sponsor from a previous business tried to get me to join this same company, and I told him the reasons for my reticence, and he tried to tell me that book price was $95 when he checked as a second pitch, which still means a mark-up of greater than 30%. Anyone in the investing world can tell you that is still too much. If you are making these businesses work, I guess that’s good for you, but its terrible for the investor/customer, and like Napoleon Hill said, we have to have a business that provides justice for everyone involved. This is very informative Jerry!! I feel the same as you and believe that real consumable products are the way to go!! I tried a Gold and Silver MLM and found that they were over charging people when my downline came to me and asked why their gold and silver products were being sold on ebay for %50 less then what they paid for it. The reason why health companies do so well is because of product experiences.. People tend to get excited about them and want to share it with everyone. Well atleast that is what happened to me 🙂 I always tell people you need a product that passes the Grandmother test. In other words would your Grandmother buy it on a monthly basis or would you feel comfortable sharing it with her. Thanks for sharing this Jerry!! You surely deserve 5 stars and I am on my way to vote for you in the Top 50 MLM Blogs now!! Keep up the great work!! I liked this post. I often tell people that long-lasting MLM companies have products that have long-term interests, like skincare products. MLM companies that sell “fashionable” or “hip” products often fail more quickly. Gold and silver seems to be “fashionable” products at this moment in time. Good articles, thanks for sharing the video. Very, very helpful. Hey Dean – Are you currently building a Gold & Silver MLM? I’m personally not but know a few good leaders that are. The thing is MLM is MLM, take away the products and comp plans you are left with team/community building and helping other people… THAT I can help you with. If you’re looking for Gold & Silver specific info just “Like” and then inbox me on Facebook (http://www.facebook.com/whoisjerrychen).